As the summer draws to a close, the colder, winter months will soon be upon us, bringing icy cold mornings and treacherous weather conditions with them. Although there’s nothing that we can do about the changing seasons, what we can do is adjust the temperature of our homes, ensuring that the climate is one that is warm, comfortable and relaxing. From the moment that we get up out of bed in the morning to when we get back in it in the evening, it’s important that the home is a comfortable place. The feeling of stepping out of a shower into an icy cold, unheated bathroom is not a tempting one for anyone who is trying to vacate a warm, comfortable bed, so if this sounds like you, perhaps it’s time to invest in some bathroom heating options. Here are just a few that you could choose from. 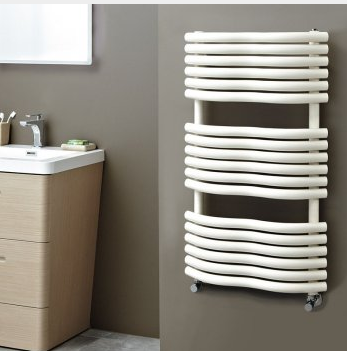 Of the main bathroom heating options, radiators and heated towel rails are most definitely the most popular choices. With the correct thermostatic valves, you can adjust the settings accordingly on your thermostat to not only heat your home, but individual rooms and radiators as well. Radiators and heated towel rails will need to be correctly installed into your existing heating system by an experienced plumber, and heated towel rails come in a variety of options – check out Warm Rooms for some inspiration. As they are not powered by the central heating system, electric towel rails are becoming a popular choice for the modern bathroom. They are much more affordable than traditional central heating options, as they can be turned on and off when needed, saving energy. However, electric room heaters may not always be the most economically friendly option, although this can be avoided with the use of eco-friendly valves. Many homeowners choose a dual fuel radiator to heat their bathroom as it provides the option to get the best of both worlds. Dual fuel radiators can be run on the central heating system or by themselves with the flick of a switch, depending on individual needs. Although they do require a unique heating element making them more expensive than other options, they create a flexible heated area that is easily adjusted and controlled when needed. If you’re fitting a new bathroom or designing a new bathroom from scratch, opting for underfloor heating is a great idea. Not only will you never need to step out of a warm shower onto cold tiles again, but underfloor heating is a much more energy efficient option than radiators, and supplies constant heat but at a lower temperature than a radiator, making it a comfortable bathroom heating choice. How do you heat your bathroom in the cold winter months? Do you have any advice for homeowners looking to make their bathroom a warmer, more comfortable place? Whatever choice you made, we’d love to hear your reasons and how it worked for you in the comments section below.